How often do you take the time to check your tax withholding? When was the last time you even took a look at them? The key here isn’t necessarily how often you check them, but when during the year you check them. Income tax is withheld from many sources including: wages, pensions, bonuses, commissions, and gambling winnings. It’s important for you to try to match your withholding with your actual tax liability. This means that you don’t want too little tax withheld, resulting in owing tax, with potential interest and penalties, or too much tax, resulting in the inability to use that money until your refund becomes available. So what do you do? The IRS recommends checking withholding early on in the year. They also recommend checking withholding when you have received a big refund or if you have an unexpected balance owed. 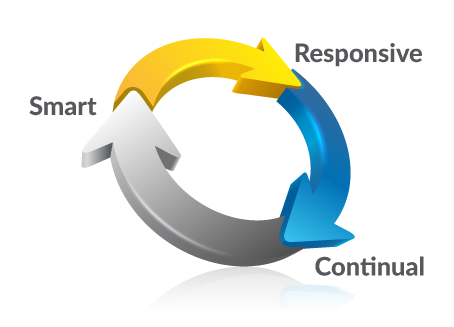 In addition you should check withholding when changes occur that might affect tax liability, such as a change in filing status (marriage or divorce), having a child or the purchase of a home. The IRS has a couple tools that allow you to see the amount of tax being withheld. One of them is the IRS Withholding Calculator, found at https://www.irs.gov/individuals/irs-withholding-calculator. This tool is helpful if you have had too little or too much withheld in the past, have gotten a new job, or your filing status has changed. 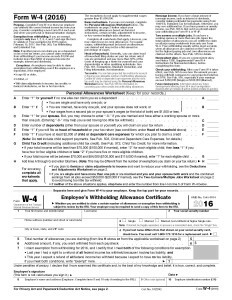 If you find that changes need to be made to your withholding, the taxpayer can fill out a new Form W-4 with your updated changes and give the new W-4 to your employer. It’s recommended that you fill out a new W-4 shortly (within 10 days) after the change to filing status or the number of allowances you can claim. Tax withholding can be tricky, and while the IRS does have tools available to you your best options it to discuss what changes need to be made with your tax preparer. The tax preparer can look at your previous filings and help to determine what over income or deductions you have that you need to consider when filling in your W-4.